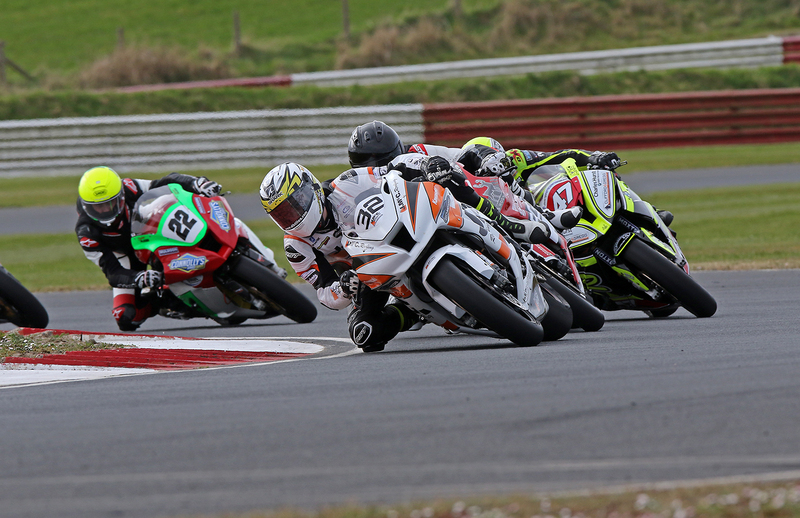 The 2019 Ulster Superbike Championship got under way at Bishopscourt Racing Circuit today (Saturday 30th march). 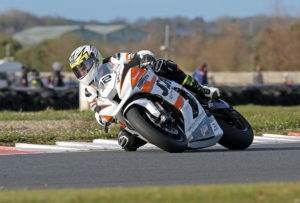 Lisburns Carl Phillips making his return to racing on home turf after racing in the British Superbike and Supersport championships for the past few years made the perfect start to his 2019 campaign winning both superbike races and both Supertwin races. The opening superbike race it was road racer Adam McLean who led the opening laps but a crash on lap four involving reigning USBK champion Gerard Kinghan on his first outing on the IFS Yamaha R1 saw the red flags come out. Kinghan was relatively unhurt but the crash put an end to his days racing. On the restart Phillips, on his JMC Roofing Kawasaki ZX10 led from the start of the four lap sprint closely chased by Ali Kirk on the AKR McCurry BMW, at the flag the pair were separated by only two tenths of a second. Adam McLean who had a dreadful start dropped back into seventh position but managed to fight his way back to take third place just beating Aaron Armstrong in the closing stages of the race, Philips team mate Ryan Gibson was fifth and Barry Graham completed the top six. In the second race Philips got a flying start a lead which he held to the flag, Mclean gave good chase but was not able to match the pace of Phillips whos took the win and superbike double with 1.2 seconds to spare. 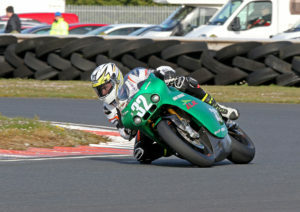 Aaron Armstrong improved on his race one placing finished third, Nico Mahinney was third and Barry Gibson and James Kelly were fifth and sixth. Philips also dominate the supertwin races, riding the Ian Lougher Racing Paton he was untouchable in both outings, race won he beat Cahal Graham to the flag by more than six seconds and race two he finished eighteen seconds in front of Ross Irwin. Jason Lynn carried on his dominance of the supersport class, convincingly winning both races. Race one he finished ahead of Christian Elkin by 6.8 seconds with Paul Jordan getting in some track time before the road racing season starts finishing in third followed by Simon Reid, Mark Hanna and Mark Waring. Race two it was Paul Jordan who was his closest rival closing the gap in the final stages of the race down to 1.8 seconds, Simon Reid was third, Christian Elkin and Mark Conlin fourth and fifth. 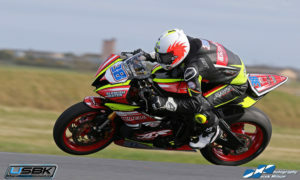 Stephen McKeown and Scotlands Kris Duncan shared the honours in the Lightweight Supersport races. Johnny Irwin cleaned up in the Pre Injection races.